The summer of 2017 had a song (I grudgingly admit it was “Despacito,” even though I still like to think it was “Green Light”) and, arguably, a movie (Wonder Woman, which had more box office and conversational staying power than any other film), but it didn’t really have a TV show. In the summer of 2015, the breakouts were Mr. Robot and UnREAL; last summer was all about Stranger Things. 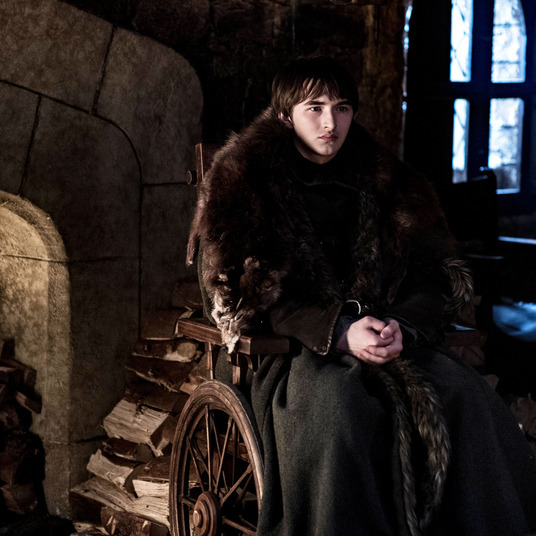 But the summer of 2017 did not deliver a universally agreed upon scripted-television event, aside from Game of Thrones, which everyone knew would rule the pop-culture kingdom no matter when it landed. This lazy, hazy, TV-oversaturated season was filled with GLOWs, by which I mean scripted series that either never caught fire, were buzzy only briefly, or were vital to a specific group of viewers, but didn’t rise to the level of widespread pop-cultural phenomena. FX’s big summer bet, Snowfall, was a bit of a bust. Claws frequently trended on Twitter, but because it aired on Sunday night, was quickly eclipsed by that juggernaut from Westeros. USA’s The Sinner has been well-reviewed — our Matt Zoller Seitz called it “superbly executed” — and its ratings have been fairly strong, but it doesn’t feel like people are avidly talking about it. NBC’s Midnight, Texas has also been building an audience, but it’s not lighting up the proverbial phone lines, either, although, admittedly, the sense that something is a quote, unquote “watercooler show” has become even more subjective in this mobbed television landscape. Critics and viewers have been enjoying The Bold Type, Freeform’s smart, Good Girls Revolt–meets–Younger–style portrait of female journalists working at a glossy New York magazine. But again, the audience that’s chattering about it seems more modest than mass. The same can be said about Rick and Morty, the delightfully bonkers animated Adult Swim series that’s in the midst of its third season and has a loyal fan following, but still seems like more of a cult phenom. And in keeping with the streaming service’s habit of dropping a new series practically every week, we got a bunch of new Netflix shows that quickly dropped off the collective radar, including the aforementioned GLOW, Friends From College, and the already-canceled Gypsy. The one exception to that Netflix trend may be Ozark, which was renewed for a second season and — based purely on anecdotal conversations I’ve had and what I’ve observed on social media — has gained some traction as audiences slowly began to discover it in July and August. Then there’s Twin Peaks: The Return, which, by all rights, should have been the show of the summer, since it was so highly anticipated and ran for the exact duration of the summer itself, from just before Memorial Day to Labor Day weekend. (Its two-hour finale airs this Sunday.) Right out of the gate, Matt declared it the best show on TV. And for a certain audience — specifically, a subgroup of TV and film critics, Peaks nostalgists, and anyone who worships at the altar of David Lynch — it absolutely was the show of the summer. I’m not sure there was another moment on scripted television this season more welcome than when Kyle MacLachlan’s Agent Cooper reemerged from his spiritual and physical coma to declare, “I am the FBI,” something we desperately needed to hear both within the context of the show and the context of a country aching for leaders committed to upholding the law. Yet every time I tried to talk about Twin Peaks with someone who didn’t fit into that previously established subgroup, they either had only watched the first couple of episodes or never started watching it at all. Same-day ratings for the series have been, shall we say, “not great, Bob,” although reps for Showtime have said that Twin Peaks has been a strong driver for its streaming service, where viewership has been a tad more robust. In other words, when it comes to assessing the impact of a show like this, it’s complicated. (That’s to say nothing of its actual quality, which has swung from sublime and exhilaratingly freaky to frustrating and self-indulgent, often within a matter of minutes.) Still, even if Twin Peaks wasn’t the “show of the summer,” it was certainly emblematic of the way we often watch TV now: as members of targeted audiences that may be vocal and passionate, but in broader terms, are definitely niche. If this summer of TV had anything concrete to say, then, it may have been to simply remind us of an obvious truth: that it’s only getting more challenging to stand out in an overcapacity television crowd, especially at a time when the news is pulling our attention away with such jarring frequency. It’s too early to say whether fall will shake out in a similar fashion. But it certainly seems like the rarer, stranger thing these days is a TV show that captures the attention of the masses and holds onto it to the point where it can’t be ignored, not even when the latest shiny, new, and possibly binge-worthy model rolls off the assembly line.